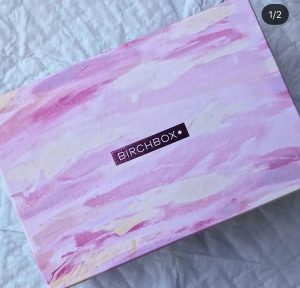 When I first heard of BIRCHBOX I thought to myself bird feeding box 🙈 what’s the big deal! 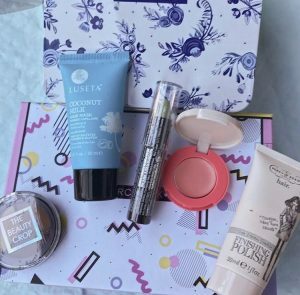 Then I figured it out – a monthly beauty subscription box service….HOW COOL! 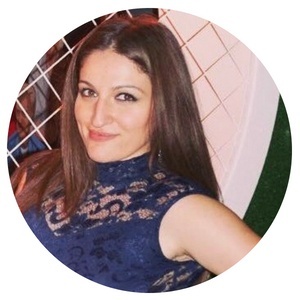 I was hesitant to try it as I didn’t know if I would like any of the products. But after a few years (!) I gave in and decided to use this as a review on my blog for you. As I was scrolling through Instagram I came across an offer BirchBox were promoting: “SIGN UP FOR THE JUNE BOX AND GET A SECOND BOX FREE”. The offer was for only £10 (plus £2.95 for postage and packing). I decided to give it a go and get an extra box for free! 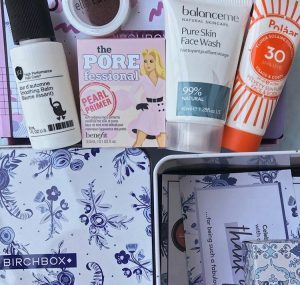 How does Birchbox actually work? The process is pretty simple. You buy a subscription, complete their questionnaire about yourself and what you like. Then you wait for your beauty subscription box to arrive each month. (1) the monthly rolling plan for £10 per month plus £2.95 postage and packing i.e. you can cancel at any time before your next box – which is handy as you are not contracted and committed to a long-term contract which of course everyone loves. (2) the 6 month plan where you pay for 6 months upfront costs £60 (plus £2.95 postage and packing per month) so in total that would cost you £77.70. (3) the yearly plan – you pay for all 12 months upfront for £110 (plus £2.95 postage and packing per month) so in total that would cost you £145.40. Students get 50% off their first box – another good reason to sign up and try a box if you are a student! Always keep your eye out for any specials or newsletter sign-up to get a little discount. My dear US followers here is the link for you – prices are the same just in dollars! 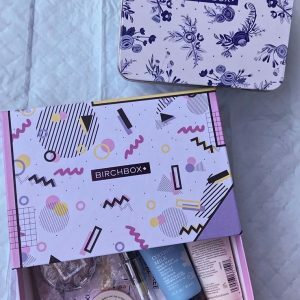 I tried Birchbox for 3 months June, July and August. My June Beauty Subscription Box came with an extra special box for signing up so I got 2 for the price of 1. One was a paper box in cute pastel colours and the extra box was a cute tin box. Luseta Coconut Milk Hair Mask (US link) – A coconut milk hair mask that is colour safe and paraben, sulphate and gluten-free. On my long and thick hair it seemed to work. I used to highlight my hair so was pretty blonde before (you can check out this post for pictures of me blonde if you are interested) for many years before. This mask is good for dry damaged hair so is very nourishing, hydrating and gives your hair a shine. ModelCo Conceal & Correct Green Concealer (similar product US link) – this green toned concealer pencil gives you brighter and even looking skin. It works by correcting and concealing fine lines, dark circles and redness to cover and deflect light away from imperfections. It neutralises redness to brighten the under eyes and counteracts the redness of any blemishes. The texture is creamy and hydrating allowing you to blend easily. Percy and Reed Quite Frankly Flawless Finishing Polish (similar product US link) – this hair product acts as a polish/ serum to help you finish off your styling routine. It gives your hair a flawless finish killing frizz and leaving your hair looking beautiful and in place. It contains horse-chestnut extract to give you that soft flexible hold and sunflower to moisturise your hair. Update: use code LF15 on the LookFantastic site for 15% off your order (exclusions apply). The Beauty Crop Eyeshadow Trio – colour Love you so latte (US link) – A chocolatey-coffee palette consisting of two shimmers and one matte shade for that perfect smokey eye. The trio is rich in caffeine and full of antioxidants to brighten and tighten your skin. The colours are highly pigmented so it did sit well for a while. It can be used as a day-time chic look and also a sultry and smoky night look! It’s vegan-free, cruelty-free and contains no sulphates or parabens. Laqa & Co B’Lighter in Peacher’s Daughter colour (US link) – this is a creamy blush and highlighter balm which reacts to warmth and heat. It leaves a sweet and soft colour on your cheeks. The colour is quite cute and is pigmented enough to last a while with the rest of your make up. PORE-fessional Pearl Primer by Benefit (US link) – this is a primer and the jist of it is that it is great for your pores and covers everything well. It can be worn alone as well. I liked it – even though I don’t have large pores but in nay event as a primer it worked well for me. Benefit does great products all around so this is no different. It is oil free so no greasy, heavy feeling, which is a plus and it feels very soft on the skin. Number 4 High Performance Hair Care, Jour D’automne Blow Dry Lotion (US link) – This is a smoothing balm to help style your hair but acts as a hair mask to minimise frizz and soften your hair. Ella Eden Compact Eyeshadow in colour “Faith” (US link) – this is a cruelty-free eyeshadow with high pigment colour that can either be dusted on dry for a day look or with a wet brush for a bolder evening look. Colour pigment is alright and lasts for a little while. What I really like about it is that the colour is perfect for Autumn as it reflects the fallen leaves. 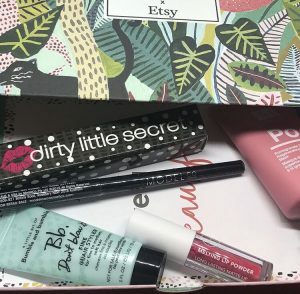 My July Beauty Subscription Box: I loved the box itself – cute shades of pink. balanceme Congested Skin Serum (US link) – This product does what it says on the bottle. You use it on those nasty little blemishes overnight to fight off the bacteria while you sleep. Did the pimple dissapear by morning? a little – it’s not magical but it does fight the pimple! Worth trying it – cannot say it will work for everyone. Best to use only a little and on the pimple directly as it may dry out your skin. Klorane Floral Eye Make-Up Remover Lotion (US link) – I really liked this makeup remover. It is soft on the eyes and removes everything well. A little product goes a long way. I would definitely consider buying full size as my go to makeup remover. What’s in it for me…Shower Scrub – Yet to try this body scrub but as long as the beads are coarse yet gentle to buff my dead skin cells then it’s great for me. Manna Kadar Bronzer in colour “Trifecter” (US link) – This matte bronzer works to contour the cheeks, can be used as an eyeshadow base and a highlighter. It glides on quite well and lasts for a little while. The colour is quite pigmented so will work as a 3-in-1 bronzer, highlighter and eyeshadow. Saves space in my makeup bag so a winner in my books! Eyeko FAT Eye Stick in colour “Satin” (US link) – I love the colour of this eye colour stick as I am a total fan of smokey colours and this one works quite well for me. I like that it is compact and fits well in my bag so those little touch-ups on the go will be great. 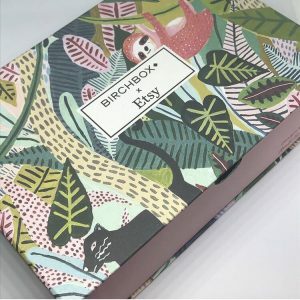 My August Beauty Subscription Box: this special edition box was created in participation with Etsy and I liked the design very summary so perfect for August. Mine was tropical and colourful. Dirty Little Secret Eyeshadow Crayon Pencil in colour “Gold Plated” (US link) – the colour is very nice. Perfect for a neutral makeup look and the shimmer also looks very nice for an evening look. The texture is creamy and glides on effortlessly. Worth trying if you like such colours. ModelCo Eye Define Black Crayon Liner (US link) – I like that it swivels up instead of sharpening it and it glides on easy and pain-free but it isn’t totally as pigmented as I would like when putting on my waterline. When applied as an eyeliner it works great and lasts. Not so good for the waterline though. Dr Botanicals Pomegranate Superfood Regenerating Sleep Mask (US link) – tried this one and was pleasantly surprised. This is a mask you apply after cleansing your face at night and actually sleep in. It didn’t feel heavy nor did it feel icky to sleep in. In the morning I just washed my face and my skin felt soft, hydrated and refreshed. CLE Cosmetics Melting Lip Powder in colour “Red Cherry” (US link) – I tried this sample size lip colour on my lips and even though it applies quite easy and soft the colour was just not me at all. This product can also be applied to cheeks which I will try out as a blush. 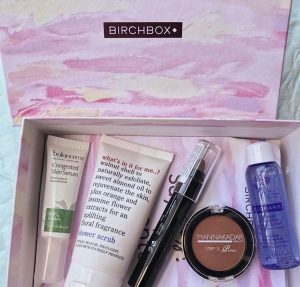 My overall impression of Birchbox? It’s fun to receive these cute little boxes each month with new beauty products to try out. Did I like all of them? Were the colours all me? no – but I guess no one company can select everything that suits you – that would be spooky. 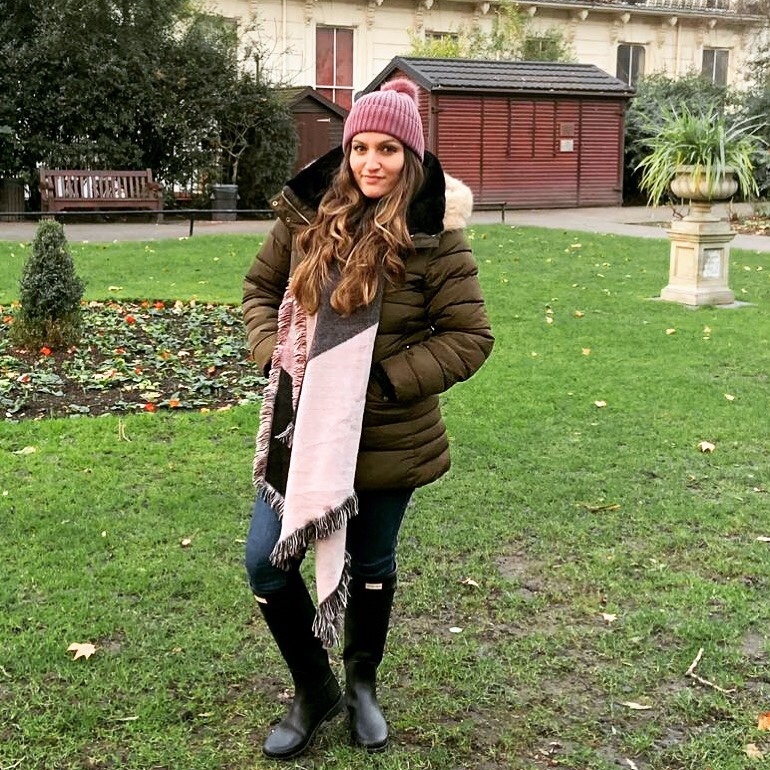 It’s all about being bold and trying new things so why not give it a go and subscribe for a month (or more) – plus with my little discount code (here is the link) you will save £5 and enjoy at least one box. You can always cancel the subscription at any time. What I did with the boxes? I used them as little makeup boxes. Each one for a different type of product: for example one for eye products, one for lip products, one for hair etc. They are cute boxes so don’t really want to get rid of them. Ok – now your turn – who has tried BirchBox before? What did you think of it? Who wants to give it a go?? let us know below as I would love to hear your experiences too.